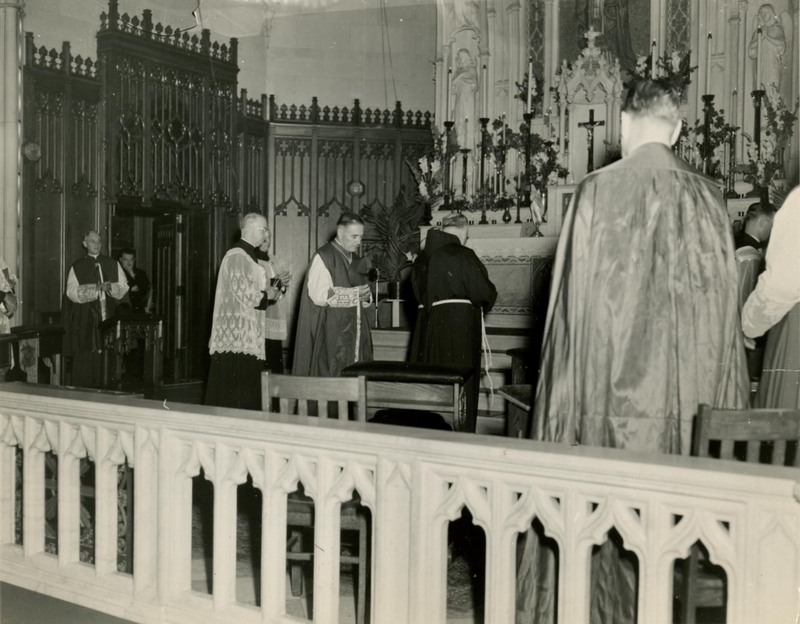 Description Baccalaureate Exercises for the Class of 1951 were held at Sacred Heart Church in Bridgeport. Rev. John J. McEleney, vicar apostolic of Jamaica, British West Indies (and the former Rector and First President at Fairfield), presided at the solemn benediction. Rev. James H. Dolan, S.J., President of Fairfield University, was celebrant with the Rev. Laurence C. Langguth, S.J. serving as deacon. Notes This picture is one of a series of photographs taken during Fairfield University's First Commencement in June 1951. Original Format Photographic print; black-and-white; 4 x 6 in.